Thurman attempts to unify titles. He was 10 years old, a kid with a book of legends. And he kept trying to figure out how to get inside. It was a book on boxers, and Keith Thurman remembers thumbing through the pages, looking at the pictures of the fighters. Even then, Thurman knew he was on the wrong side of the pages. Even then, he wondered how a kid might someday be in such a book. History is waiting for Thuman. And a legacy. Perhaps immortality. All he has to do is keep winning. For Thurman, 28, it is as simple as this. The more a man wins boxing matches, the more special he becomes. The bigger the opponent, the more memorable the matchup, and the more children will whisper his name. On March 4, Thurman faces his most challenging fight against Danny Garcia. Like Thurman, Garcia is a champion. Like Thurman, he is undefeated. Like Thurman, he is young enough and hungry enough for a career-defining fight. In boxing, one belt is usually enough. There haven't been many who had multiples. But Thurman wants to be one. One like Sugar Ray Leonard. The fight between Thurman and Garcia will be only the third unification bout featuring undefeated boxers. The first was when Donald Curry knocked out Milton McCrory in 1985. The second was when Trinidad won a close decision over De La Hoya. And both men laughed. Boxers are who they are. So the Garcia fight is an important one for Thurman's legacy. Oh, financially, he has it made. He has a belt. He has respect. But it's the hunger a man finds to drive him when he achieves it all that makes the great ones. It's the competitiveness that lies in the ring. Slowly, Thurman has been making a name for himself. His fight with Shawn Porter was judged as the best of the year. 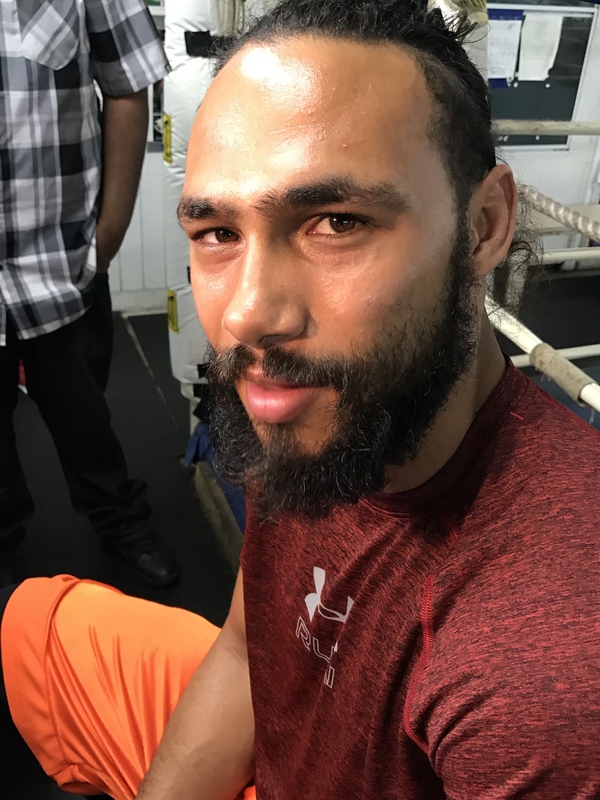 But trainer Dan Birmingham said that Thurman was only fighting at 90 percent, and Thurman himself says “something was missing.” He couldn't quite finish Porter off. He wants to put on a better show. Thurman doesn't think that will happen. He's the smarter fighter, he says. Birmingham says he's the stronger fighter. Thurman has always prided himself in his adaptability, that gift of his to change his attack in mid-round. For this one, Thurman may need all of his edges. “I'm just moving on up,” Thurman said. “I'm separating myself from the others in the welterweight division. The winner on March 4 will get spotlight priority over all the others in the division, and he'll deserve it. “I love evolving. In a way, this fight is almost a warm-up. Boxing is the easy part. I know boxing. I'm in my prime. I look forward to showing the world what kind of athlete I am. Still, there are fights to be won. There is a legacy to be polished. There is immortality to maintain. At age 28, with “five more years, maybe 10” years in front of him, the heavy lifting has just begun. For him, a career will be built belt by belt. Maybe book by book. All he has to do is stay upright. Great writing, Gary. Love your writing when you write about the inside and the outside. Thanks, Cecil. Always love your comments. And not just when they’re nice to me. Previous post: Lynch or Barber? Who goes in first?